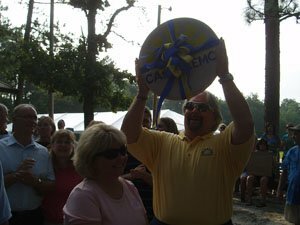 I am Chairman of Eat Smart Move More Charleston Tri-County and Chair of the Communications and Marketing Committee for Eat Smart Move More South Carolina. What is Eat Smart, Move More SC? 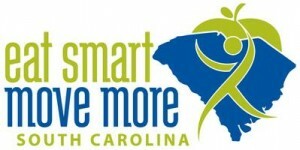 The SC Eat Smart Move More Coalition coordinates obesity prevention efforts across the state and leads the implementation of South Carolina’s Obesity Prevention Plan. The intent of this coalition is ongoing collaboration between state agencies, business and industry, health care organizations, schools, academia, community based groups and coalitions and a broad range of other stakeholders to capitalize and leverage differing areas of expertise, skill and resources to impact obesity in South Carolina. Vision: A South Carolina in which healthy eating and active living are essential to the everyday culture where we live, work, learn, pray and play. Mission: To lead a unified movement to make the healthy choice the easy choice. Obesity-related medical expenditures for adults in SC total over $1 billion – half is financed by Medicaid and Medicare. 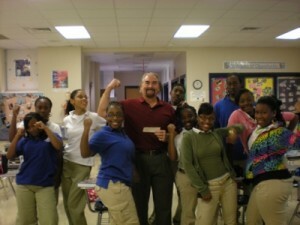 Support The Charleston Marathon and its Youth Marathon Program. I am Volunteer Director of this great and easy program to keep kids fit and active. Check it out today! Get your kids active, support CCSD Arts Programs, or both! THE LEAN TEAM (LT) – Check them out! The Lean Team’s goal is the prevention and treatment of childhood obesity through individual, family, and community change. 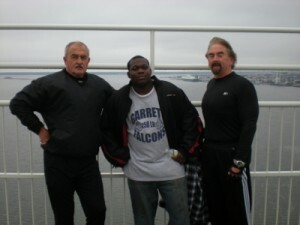 I was introduced to The Lean Team by my brother, Walter. They are working hard to battle the epidemic of childhood obesity. I walk the Cooper River Bridge on Saturday mornings with them, helped them with a strategic plan, spoke to students, and I am very passionate about their mission. TRIDENT UNITED WAY (TUW) – Check them out! 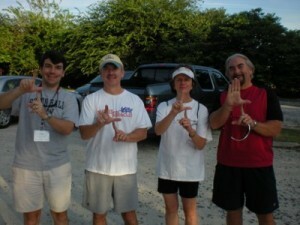 Trident United Way works to solve the most critical problems facing people in the Lowcountry. Polly and I have supported Trident Untied Way (TUW) for years. I have been a donor for over 25 years. Polly and I have given as a couple since 1985. TUW truly does make a difference in our community. They bring people, agencies, and resources together to create solutions to ongoing community problems. Camp Kemo Programs – Information on Camp Kemo Programs My Sister-in-law (Sue) got me involved as a counselor at Camp Kemo in the summer of 1987. After that life changing week, I still remember telling Sue and Linda(Co-Founder Camp Kemo) that I would come back every year, as long as they wanted me. It has been an amazing 24 year journey for me! 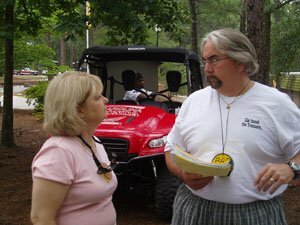 I worked with the 10-12 year olds, then the teen agers, and now I have been the Chief Counselor for the Camp for the past 10 years. I love it and I learn so much from the kids! What Courage, What Resilience, What Strength, What LOVE!! !